The economic bonds between Europe and the south-eastern US state of Alabama are solid and growing stronger every year. Mercedes-Benz is undertaking another large-scale expansion at its Alabama assembly plant, pushing its total investment in the state to $5.8bn. Airbus’ new manufacturing facility in Alabama has delivered around two dozen A321 aircraft to customers, and, with production ramping up, the facility will support 1,000 jobs by the end of next year. Two Austrian companies – Kronospan, a maker of laminate flooring, and Lenzig, which produces eco-friendly fibres for clothing – announced plans to invest a combined $666m in expansions at their Alabama plants last year. Exports of Alabama-made goods to Europe topped $5bn last year, with motor vehicles, aircraft parts, industrial machinery, and chemicals leading the way. Located in the heart of a fast-growing region, Alabama has provided a welcoming environment for scores of European companies, and a fertile ground for their investment. Over the past two decades, companies from 14 European countries have invested more than $14bn in Alabama business operations. Alabama’s partnership with Germany has proved particularly fruitful. Led by Mercedes-Benz, German companies have invested $8.4bn in Alabama operations, creating 15,500 direct jobs. Altogether, more than 70 German companies call Alabama home. Why are so many European companies, particularly manufacturers, selecting Alabama as their base in North America? The state’s skilled workforce is a primary reason. Alabama workers have proved they can produce luxury automobiles, sophisticated passenger jets, innovative warships, powerful rockets, and much more. A February 2017 Gallup poll found Alabama has the highest percentage of highly involved and enthusiastic workers in the US. The state also has a heavy concentration of manufacturing workers, who comprise nearly 13 percent of the total workforce. Alabama has a business-friendly environment, top-ranked worker training programmes, low taxes, and a low overall cost of doing business. Alabama also offers a first-class infrastructure system, with a deepwater port, an extensive interstate system, and airports capable of handling international cargo. 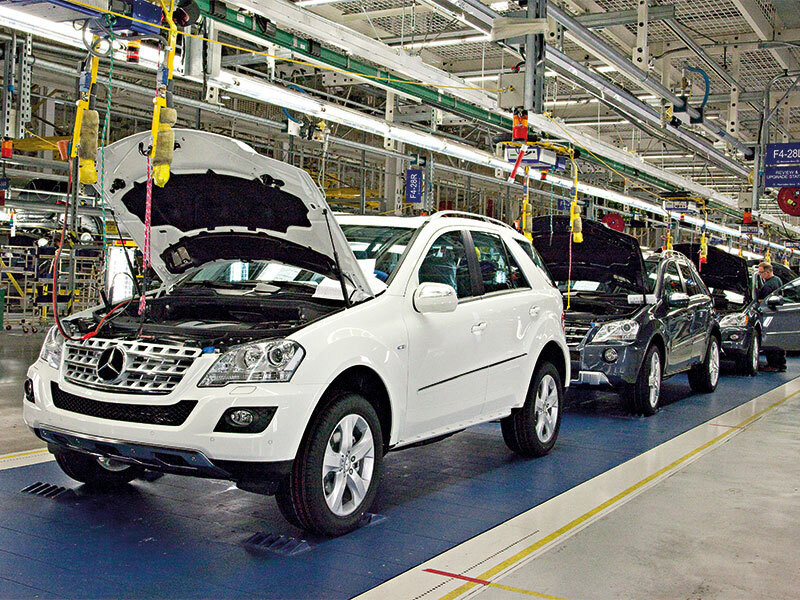 Thanks in large degree to Mercedes, Alabama has become a top five US state for automotive production. Just 20 years ago, Alabama didn’t produce a single vehicle; today, more than a million vehicles are assembled in the state each year, as well as 1.7 million engines. Many of the companies in the Alabama automotive supply chain are European. However, the growth of the automotive industry is hardly the only important development going on in Alabama’s diverse economy. Not surprisingly, Airbus’ production launch has positioned Alabama’s aviation manufacturing sector for significant growth. European aerospace companies including Safran, Hutchinson and MAAS Aviation have already set up operations in close proximity to the Airbus production facility. More will join them. Alabama, though, is not just about manufacturing. The state’s bioscience industry is thriving, with key strengths in segments such as medical research, drug discovery, genomic medicine, and medical devices. Alabama is also home to more than 800 bioscience establishments, including companies with European roots. One of them is Germany’s Evonik, which has opened a Global Innovation Centre for medical technology in Alabama. Over the years, Alabama has provided a business-friendly environment for a roster of well-known European companies. Besides those already mentioned, the list includes Siemens, BASF, BP, Michelin, BAE Systems, GKN Aerospace, Gestamp and many more. The success of these companies demonstrates Alabama can provide the ideal US home for European companies.